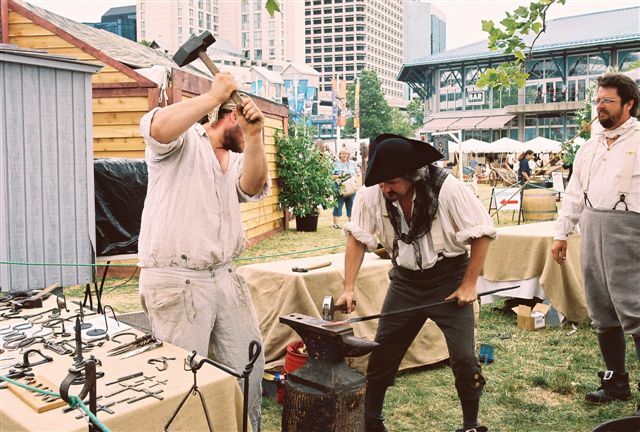 This living history demonstration brings a traveling blacksmith to your site. TBG will introduce your visitors to the fascinating craft of blacksmithing with a lively, interactive and historically accurate demonstration of tools, techniques and materials. 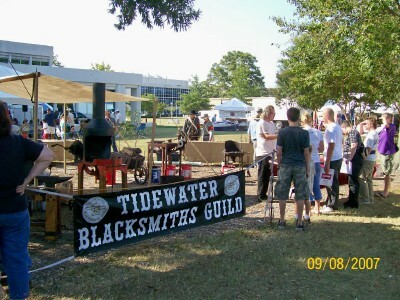 The combination of traditional blacksmithing produces an exciting and entertaining program for many different audiences. Once the fire is lit the blacksmith works continuously through the day forging a variety of tools, hardware, and leaves. Visitors often spend thirty minutes or more at this unique demonstration. All safety precautions are taken to ensure your visitors' complete enjoyment of the time they spend at this popular demonstration.